The consequences of the war on drugs has impacted Latinos and Blacks at tremendous rates. 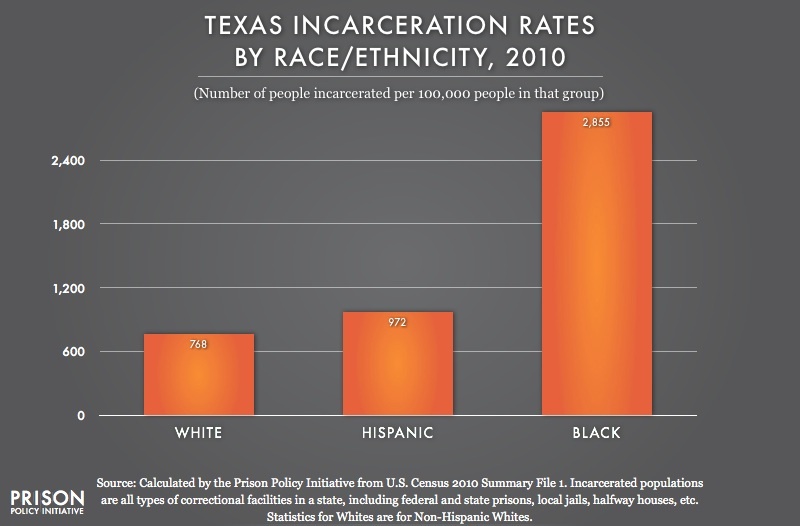 Blacks use marijuana at roughly the same rates as Whites, yet they are incarcerated at far higher rates. Correcting the imbalanced incarceration rates is one of the main reasons we are working to reduce small possession of marijuana from criminal offense to a ticket. Here's a look at how minorities are disproportionately impacted by the war on drugs. Unfortunately, exactly how greatly the war on drugs impacts these rates depends on who you are. Hispanics are likely counted as Whites in data counts, which means the already low rate of Whites arrested for marijuana is actually lower. In New York, one of only two states for which Latino arrest data is available, Latinos are arrested at nearly four times the rate of whites. In order to partially explain why Latinos are arrested at such greater rates, we need to do more to understand the history of Latinos and marijuana. In the early 1900's, cannabis and its byproducts were commonly used for medicinal purposes. Hemp, which is made from the cannabis plant, was a staple of American culture - so much so that our founding fathers grew it on their farms and the Declaration of Independence was drafted on hemp-fiber paper. Marijuana wasn't always considered an illegal drug in America. The prohibition of marijuana, and even the alteration of its name, was part of a racially motivated war on drugs that began with the targeting of Mexican immigrants 100 years ago. Yet anti-immigrant sentiments soon took hold of the country. Following the Mexican Revolution, tens of thousands of immigrants from Mexico came to America in the 1920s and 30s. "The political upheaval in Mexico that culminated in the Revolution of 1910 led to a wave of Mexican immigration to states throughout the American Southwest. The prejudices and fears that greeted these peasant immigrants also extended to their traditional means of intoxication: smoking marijuana. Police officers in Texas claimed that marijuana incited violent crimes, aroused a "lust for blood," and gave its users "superhuman strength." Rumors spread that Mexicans were distributing this "killer weed" to unsuspecting American schoolchildren. Reports of this alleged "loco weed" that caused tremendous violence began to escalate. One Dallas Morning News story from 1923 even bore the headline, "Mexican, Crazed by Smoking Marihuana, Uses Knife on Five." Science be damned, the media ran with law enforcement reports that marijuana was a dangerous drug, providing cover for a war on drugs that continues to this day. In 1937, marijuana was effectively deemed illegal - a desingation it has not shaken to this day. Could Latinos Turn the War on Drugs On Its Head? The government's classification of marijuana as a dangerous drug, accompanied with its propaganda campaign against Mexican-born immigrants, still reverbarates to this day. The Pew Research Center recently found that while Blacks and Whites strongly support marijuana legalization, Latinos are still split on the question. That could change, however, as states look to the successful campaigns in Colorado to find out what worked. In 2012, Colorado's ballot initiative for retail market marijuana passed with 70% support from Latinos - a remarkable turnaround given that polls in the weeks leading up to the election showed that Latinos opposed the law. Nationwide, public support for marijuana policy reform among Latinos may still lag that of Whites and Blacks. But the Colorado example provides guidance for organizers and elected officials seeking to talk more about marijuana policy reform within their communities.